While they may not seem like they’re linked to one another, research now shows that children who are given doses of antibiotics end up gaining more weight as they get older. The study, done by the Johns Hopkins Bloomberg School of Public Health, found that kids who were given prescriptions for antibiotics during childhood had higher body mass index and gained weight faster later on. 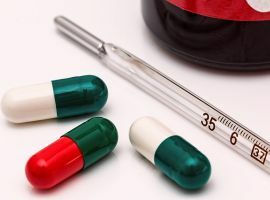 The researchers published their findings in the International Journal of Obesity, noting that taking antibiotics as a child can affect your weight and BMI for the rest of your life. The study used electronic health data that spanned over 12 years from 2001 to 2012. It took into account kids who were between the ages of 3 and 18 years old. In the end, the total number of children that fit their criteria came out to 163,820, which allowed the scientists to base their research on a long term, large scale data. What they found was that there was a link between kids who were given antibiotics and the weight they gained. More importantly, the more orders of antibiotic given to the children, the stronger the association to weight gain was. The scientists also noted that kids who were given at least 7 orders of antibiotic treatments gained about 3 lbs. more weight when they got to the age of 15, compared to kids who were never prescribed any antibiotics. Those who accumulated that many prescriptions were close to 30,000 of the total number of kids studied, which comes out to around 21% of the study population. 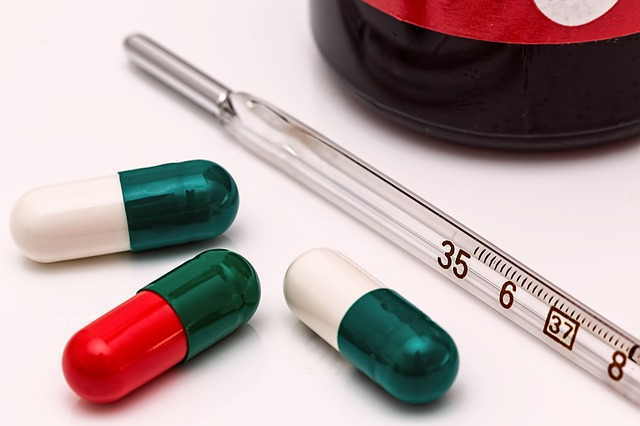 Of all the types of antibiotics studied, macrolides, which are a class of drugs that include the likes of Azithromycin, Clarithromycin and Erythromycin, produced the largest weight gains by age 15. Previous studies learned that antibiotics prescribed to very young children caused weight gain. This newer study reveals that any prescription of the drug during one’s childhood age, results in extra weight gain. Antibiotics work by killing harmful bacteria that are making us ill. In the process however, they also destroy good bacteria that work to keep us healthy. In doing so they get rid of microorganisms that are present in our bodies that are meant to keep our bodies functioning properly. This is what happens to the bacteria that help regulate our gastrointestinal health. Each time you take a course of antibiotics, the microbiota changes because of the microorganisms affected by the antibiotics. This results in a change on how your stomach and small intestine break down and absorb nutrients from food. This eventually causes the extra weight gain. This isn’t the first time that such effects of antibiotics are being seen. In the past year alone, antibiotics has been linked to type 2 diabetes as well as Juvenile Idiopathic Arthritis. In August of this year, the Journal of Clinical Endocrinology & Metabolism published a study by Danish researchers which reported that individuals who become diabetics (Type 2) were found to have used more antibiotics in prior years. The effects of the antibiotics would go back as long as 15 years prior their diagnosis of type 2 diabetes. The research also reveals that the link was present in all the 16 types of antibiotics they included in the study. Of the different types however, narrow-spectrum and bactericidal antibiotics showed higher association than the other kinds. Similarly, researchers at Rutgers University found that kids who are prescribed antibiotics are at a higher risk of developing juvenile arthritis. The risk was associated with the dosage. The more times they were prescribed the higher the risk. The way antibiotics work not only lets them eradicate infections but also makes them change the landscape of microorganisms in the body. This affects the good bacteria as well that are there to help regulate our body’s system. These findings tell us that before taking antibiotics, whether for our kids or ourselves, we need to weigh the pros and the cons and use these drugs only when they’re absolutely needed, and that they are not for issues where they’re unnecessary or aren’t going to be effective.